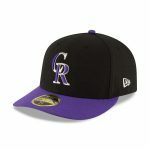 Send the Colorado Rockies good vibes in this stylish Twist Closer snapback adjustable hat from Under Armour. This impressive cap features UA Threadborne Microthread technology that dries quickly to maintain your comfort for as long as you need. 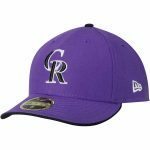 The exciting Colorado Rockies graphics on this lid are guaranteed to display your spirited zeal in the coolest way.